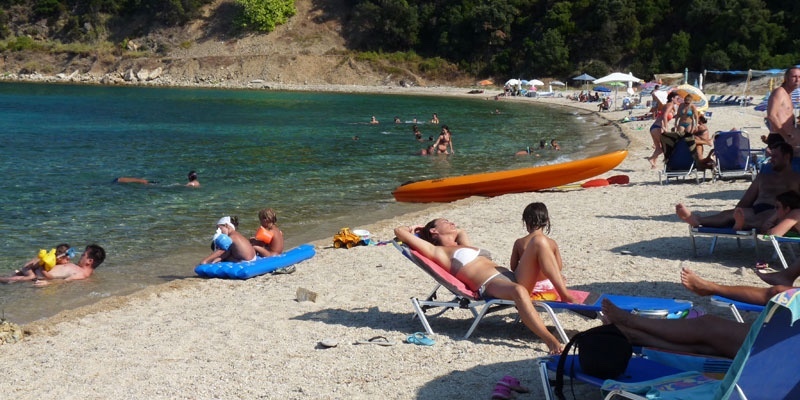 Koutloumousiou is the beach that is located within the La Cara campsite. Access to the beach is only through the campsite gate which charges 3 euros a person. Because of this the beach is not crowded. 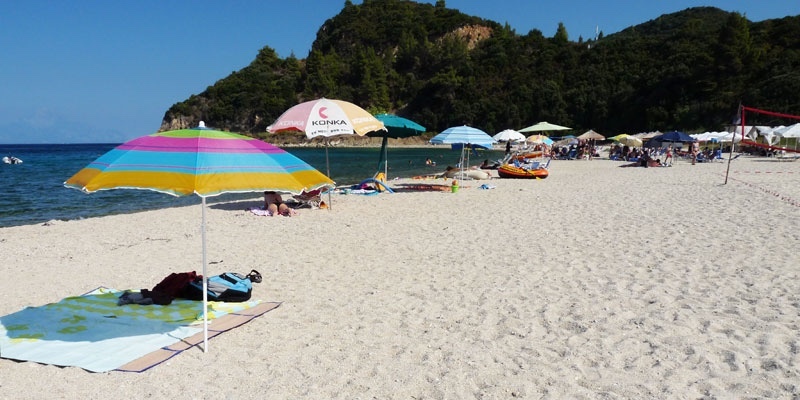 Koutloumousiou beach is well organized with sun-beds and umbrellas. 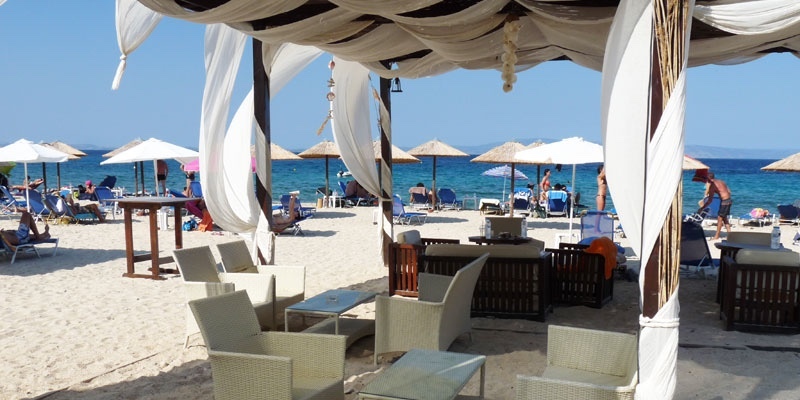 There are water sports possibilities, beach bars, a restaurant, a mini market, a playground, toilet facilities and a boat launch. The beach has good coarse sand. The northern part of the beach has a rocky sea bottom, but the southern part is sand with easier access to the water. The water is clear since the beach is wide open to the sea. Good family beach with good organization. Camping beach with boat launch. Entrance fee. Pebble sea bottom so shoes are recommended. 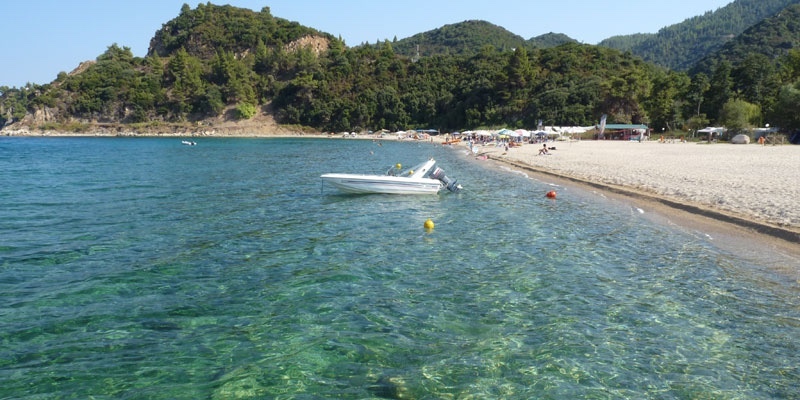 Driving south of Vourvourou 8 km, you will see a sign for La Cara camping. You can park your car before the gate and walk in 400 m to the beach. 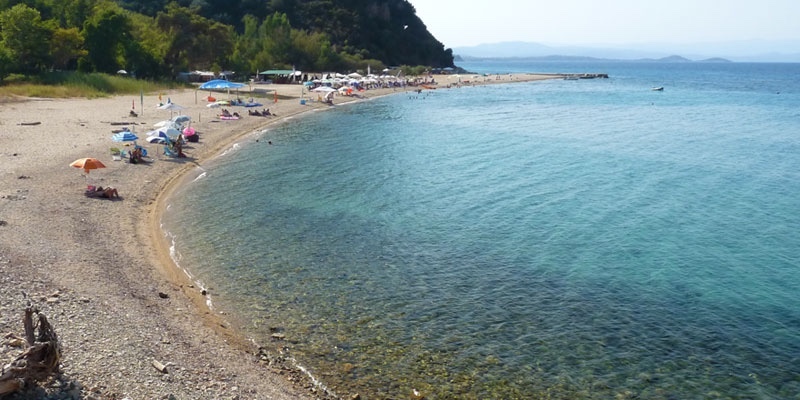 Koutloumousiou is a nice beach but you need to weigh whether it’s worth paying to access.